If you are in the sheet metal fabrication industry then you would likely have considered outsourcing your production from time to time. Indeed, you might already be outsourcing. As with any other business choice, it is important to weigh up the pros and cons before coming to any decision. Here are just a few of the pros of choosing to outsource your manufacturing to another business. Needing more capacity is generally a good thing. After all, it probably means that business is going well for you. It does come with its drawbacks, though, including the headaches and cost involved in stepping up your production ability. This can give you a great deal of work to do even when you already have a lot on your plate. When you outsource your sheet metal fabrication to another business, they will already likely have the capacity available. This means that they should be able to take on your tasks relatively seamlessly. They will also likely have laser cutting machinery and other tools readily available making them well equipped for the job. Depending on your business, your workload is not likely to remain constant. Contracts can expire and it is not always easy to replace them in time, meaning you can experience lulls in business. This is likely to be quite a problem if you are paying for tools, facilities and staff but no work to keep them busy with. When outsourcing, however, you have much more flexibility to adapt to peaks and troughs. If you are experiencing a lull in business then at least you will not be paying empty expenses. Purchasing laser cutting equipment, for example, can be very expensive. This can have an impact on your bottom line and you might need to pass these costs onto your customers, making you less competitive. When outsourcing to another Sheet Metal or laser cutting company, however, you will be recruiting the help of a business that has already incurred these costs. They will also likely be working with other clients including yourself and their own costs can be distributed easier. 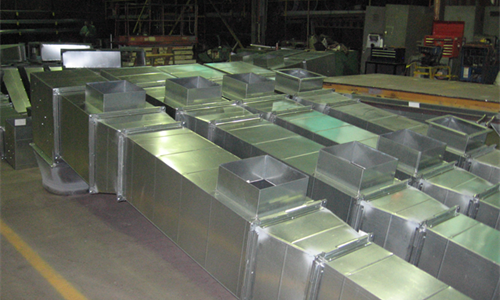 Sheet metal working is a technical job that requires a great deal of know how to get right. It will also involve having the right tools. These factors can make it hard for you to achieve high quality yourself, particularly when the task is not your main focus. Pass the job onto a business for who sheet metal working is their main focus, however, and they can concentrate their efforts on getting the job done and getting it done well. There are numerous reasons why outsourcing can be beneficial to your business. It can be cost-effective, help you to maintain high standards and also make it easier for you to run your business. Weigh up the pros and cons and it is easy to see how outsourcing is a good idea!